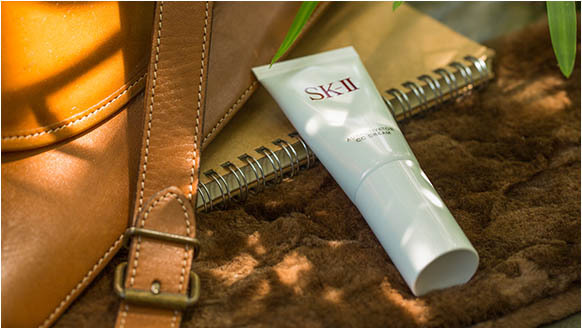 Meet your makeup routine’s new best friend – SK-II Auractivator CC Cream, a game-changing cosmetic that redefines the meaning of glowing skin. 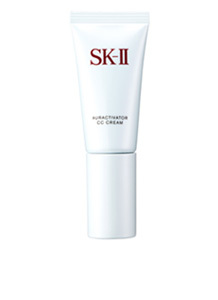 Our first-ever CC cream combines the incomparable power of SK-II’s skincare expertise with the flawless finish of makeup. On the surface, imperfections and spots are concealed, and light is diffused to give skin an immediately smooth and radiant aura. Meanwhile, beneath the surface, active ingredients within the cream work continuously for 12 hours to increase the clarity and luminosity of skin, making dark spots less visible and activating your skin’s aura radiance. After four weeks of using Auractivator CC Cream, your skin’s natural aura radiance is fundamentally improved, illuminating even bare skin. 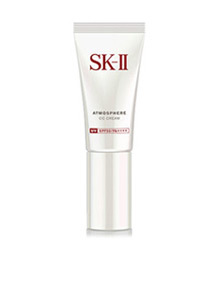 Boasting the long-term benefits of SK-II skincare with the immediate coverage of makeup, the new Auractivator CC Cream is your one-step secret to glowing, simply irresistible skin.